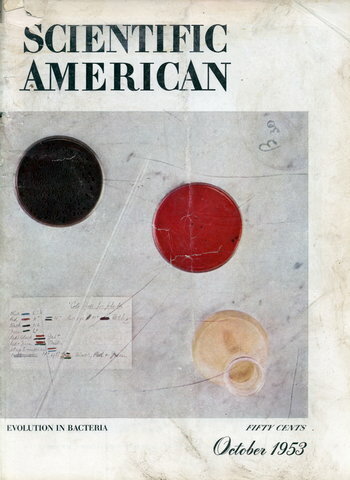 For years the accepted way to connect wires to telephone apparatus was with solder. 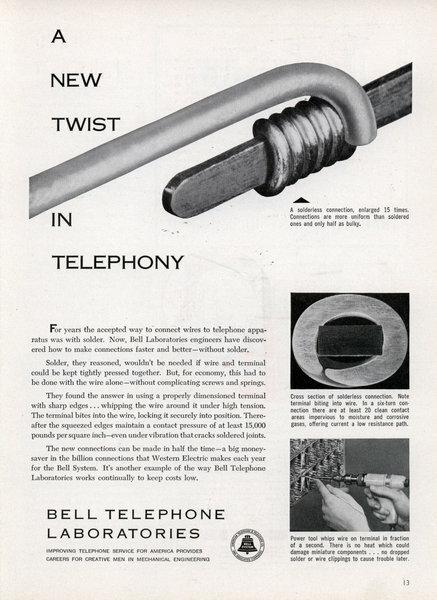 Now, Bell Laboratories engineers have discovered how to make connections faster and better—without solder. Solder, they reasoned, wouldn't be needed if wire and terminal could be kept tightly pressed together. But, for economy, this had to be done with the wire alone—without complicating screws and springs. 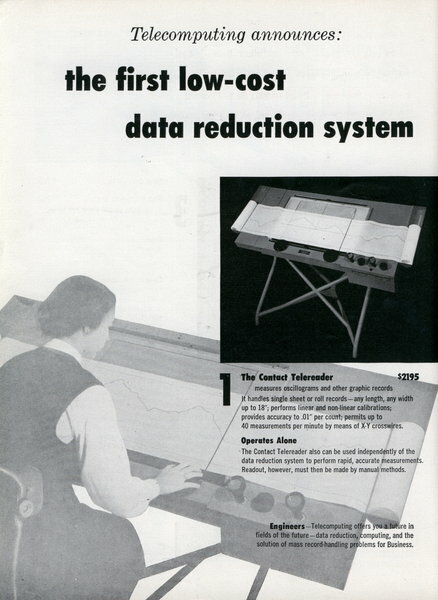 Everyone concedes the value of modern data reduction instruments; but not every organization feels it can "afford" them-just yet. 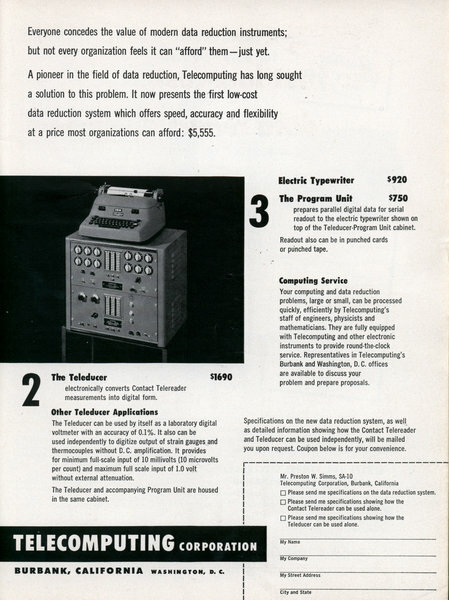 A pioneer in the field of data reduction, Telecomputing has long sought a solution to this problem. It now presents the first low-cost data reduction system which offers speed, accuracy and flexibility at a price most organizations can afford: $5,555. 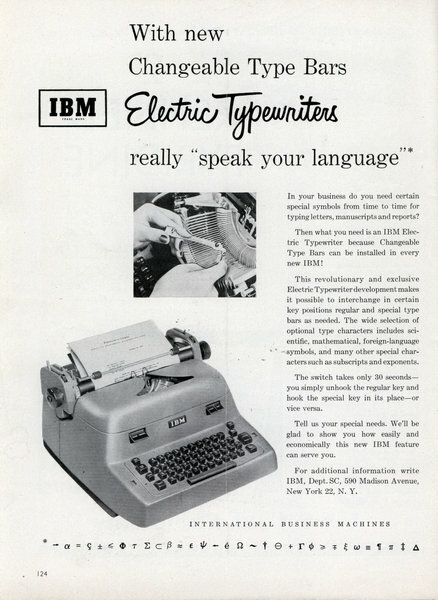 IBM Electric Typewriters really "speak your language"